We’re a community within a community. Through our service projects, we’ve built goodwill and visibility throughout the region. We are always seeking members to represent our community on various committees or commissions and by volunteering for specific community service projects throughout the year. 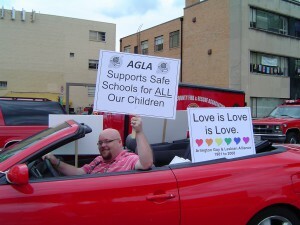 Safe Schools: Projects that support Gay-Straight Alliances (GSAs) at our local high schools. Each year AGLA awards an outstanding Arlington Public High School senior with a $2,500 scholarship. AGLA representation on the Arlington Equal Opportunity Commission and Human Rights Commission. AGLA representation within the Chamber of Commerce. AGLA representation on the Civic Federation. Providing college scholarships to high school students. Donating hundreds of books to libraries. 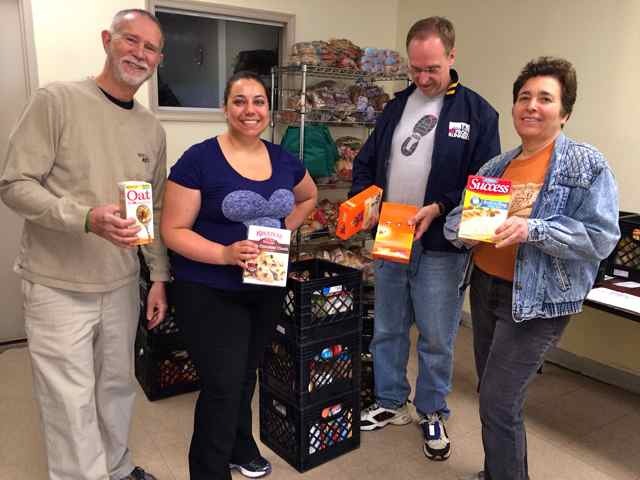 Hands-on work at area non-profit organizations and assistance centers. Participation in volunteer day events. Past participation in the county fair. Coordinating donations made to AFAC, A-SPAN, Arlington Free Clinic Hospice of Northern Virginia, and other area organizations. Contributing to local gay and lesbian service organizations. 2002 Michael L. Chiavetta II Award for outstanding contribution by an organization in support of the Whitman-Walker Clinic of Northern Virginia. James B. Hunter Human Rights Award, presented by the Arlington County Human Rights Commission in recognition of AGLA’s commitment to human rights and diversity in Arlington, for excellence in community service and for raising the visibility of our community, 1999. Capital Pride Award, presented by the Capital Pride organization, for the best Community Group at Capital Pride, 1998. Virginia Spirit Award, presented by The Virginia Partisans, for outstanding service to the LGBTQ community, 1997. Explore what we do! Click here to learn how you can get involved in our community. Be OUT with us. For more information, e-mail: info@agla.org.